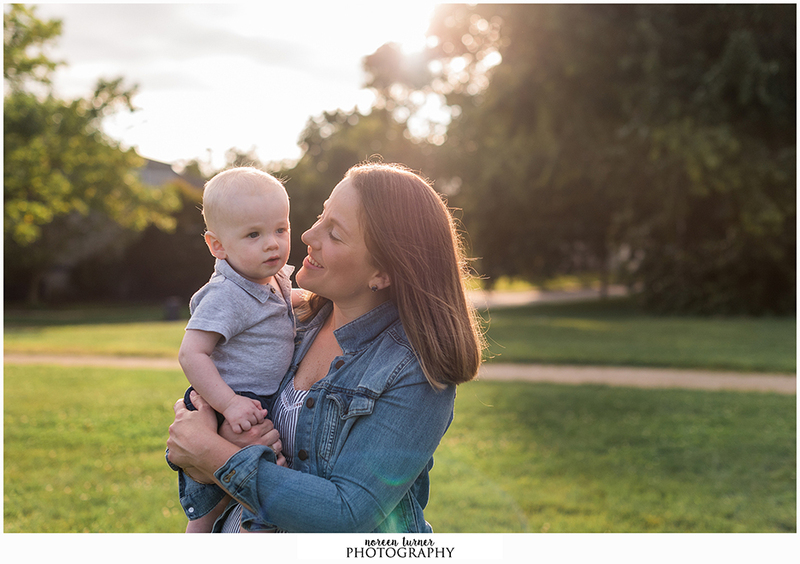 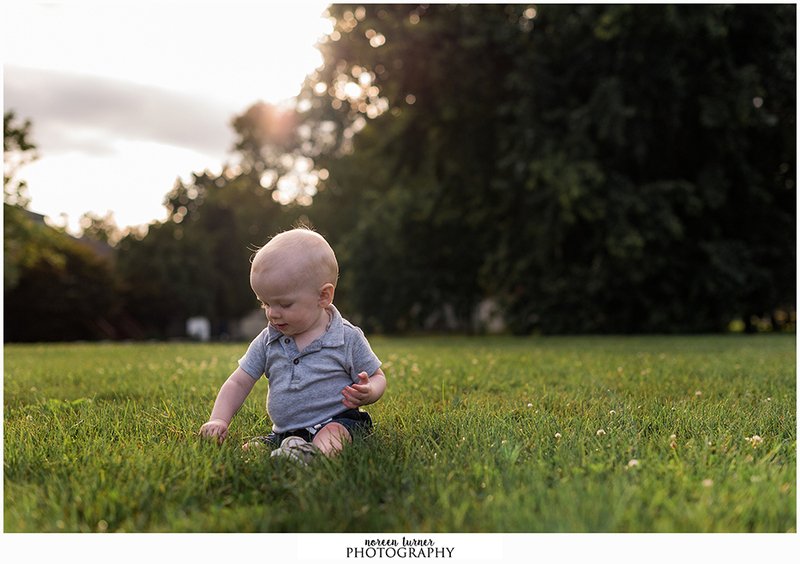 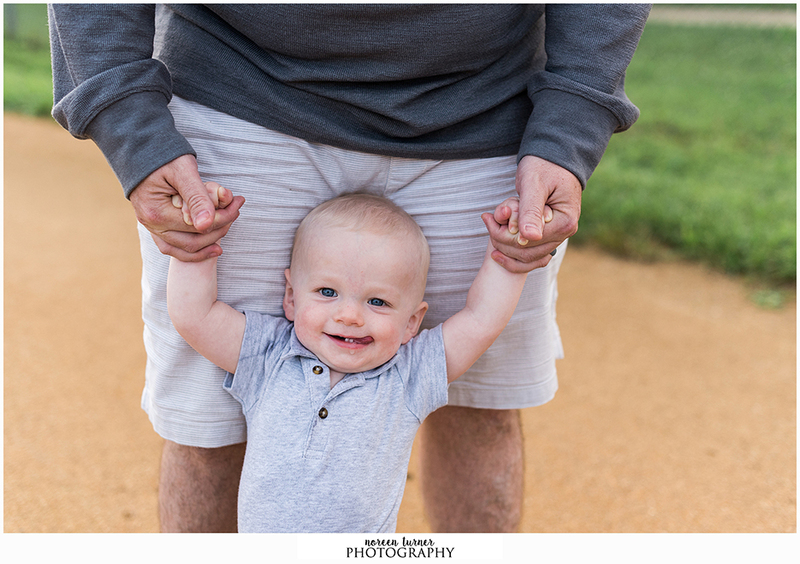 Moms and Dads and whoever is out there reading this, I want to let you know that you don’t need the most picturesque park with the perfect barn or weathered fencing to have gorgeous family photos. 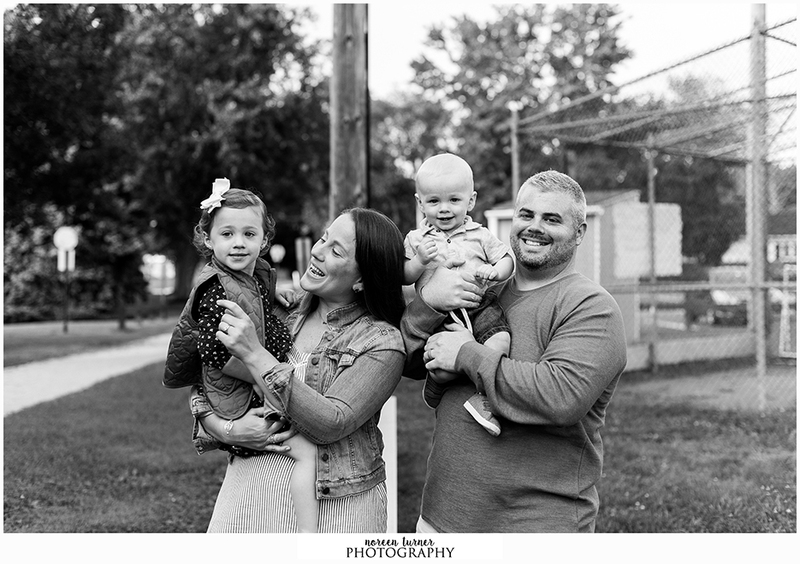 All you need is your family and something you love. 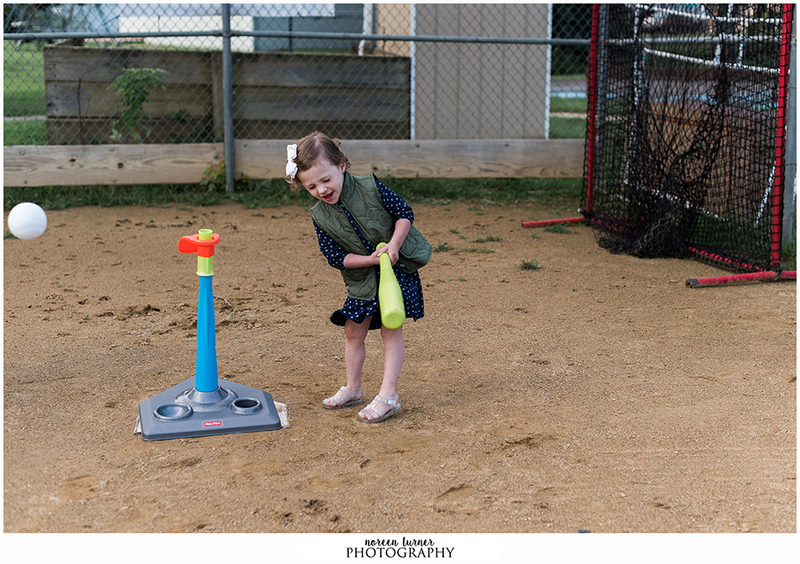 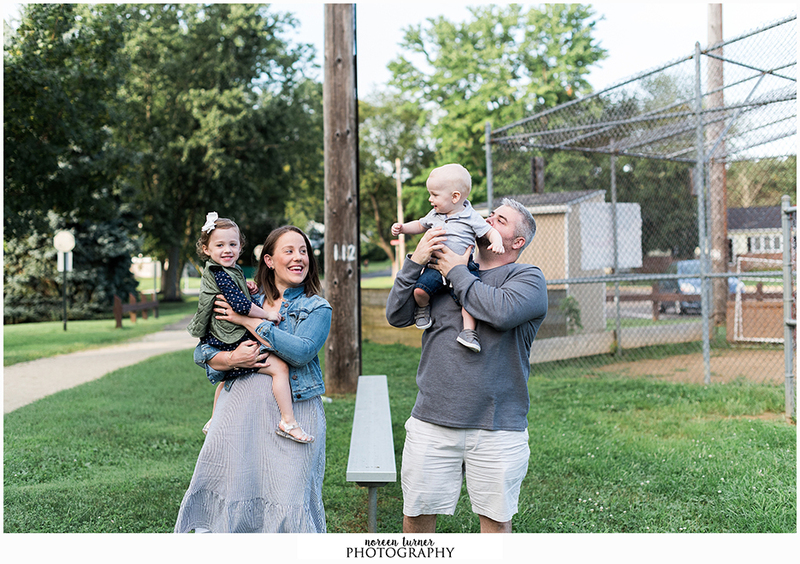 This adorable foursome is serious about baseball so when they said they wanted family photos to celebrate their 3 and 1 year olds at a baseball diamond in Abington, I was definitely on board! 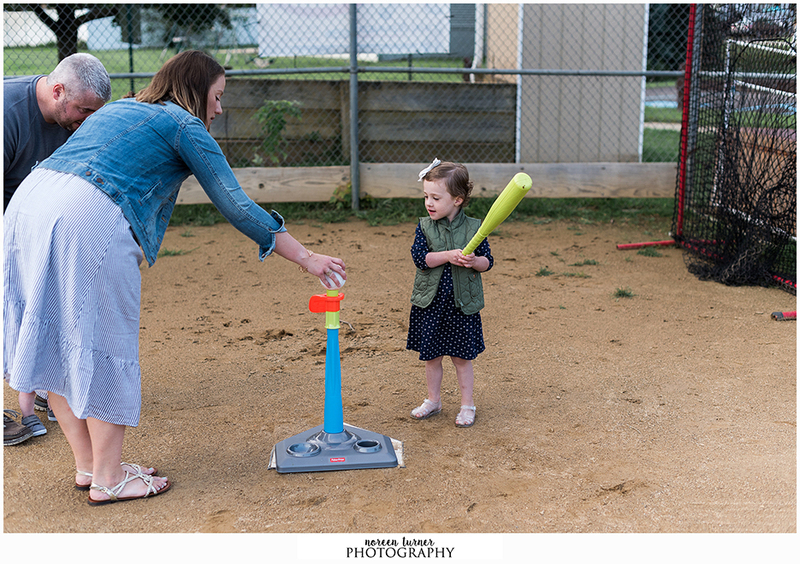 After playing a little bit of t-ball we did what happens in every family session which is take a walk and play! 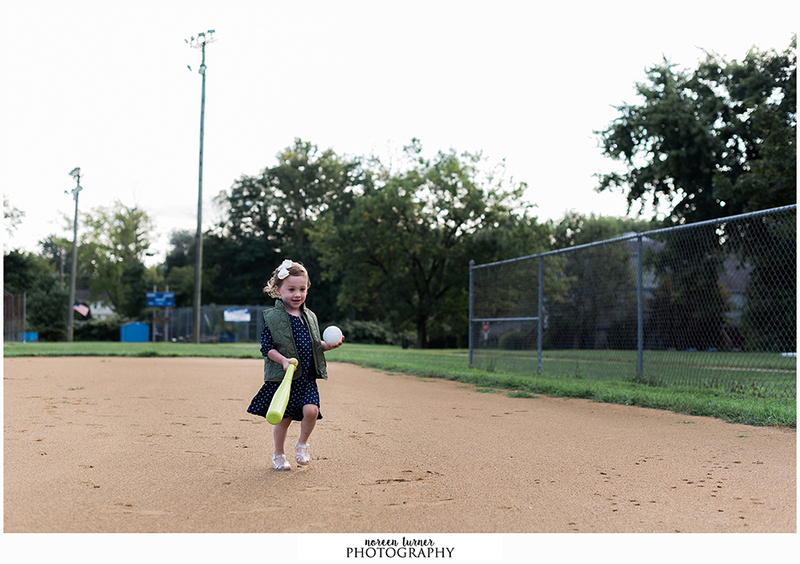 We walked on bleachers, ran the bases, played in the grass and had a great time. 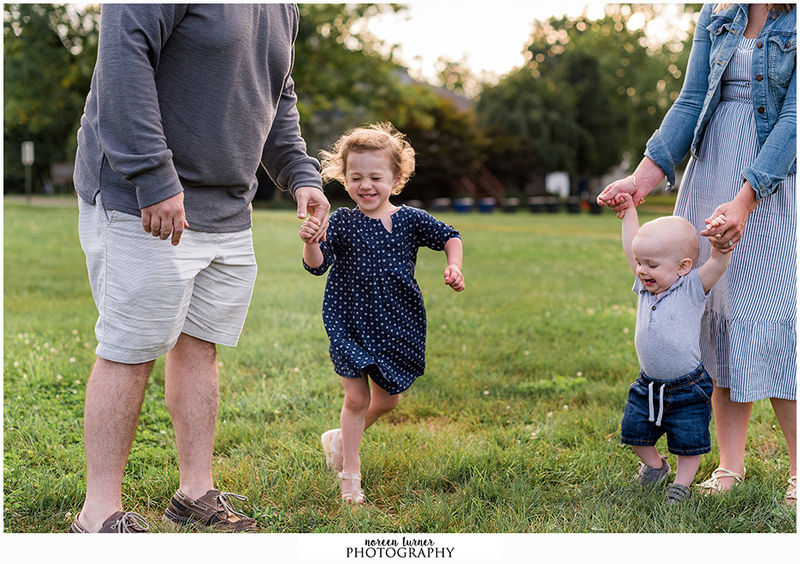 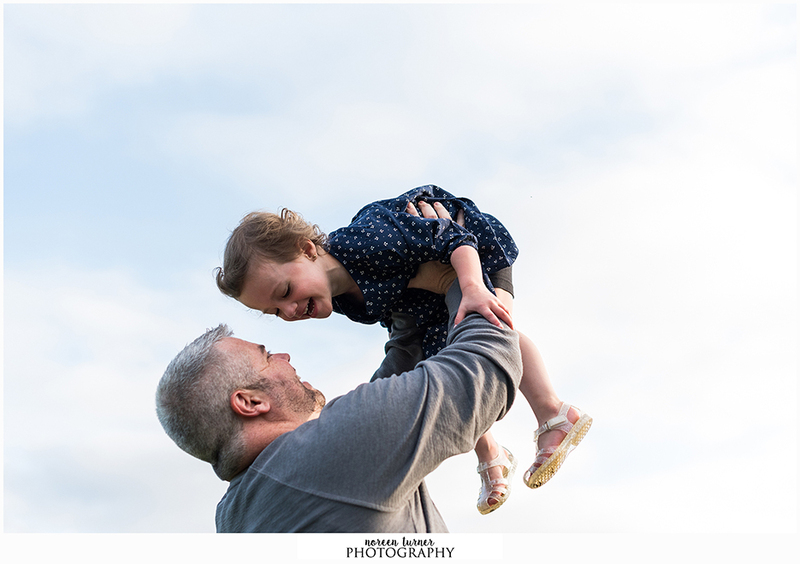 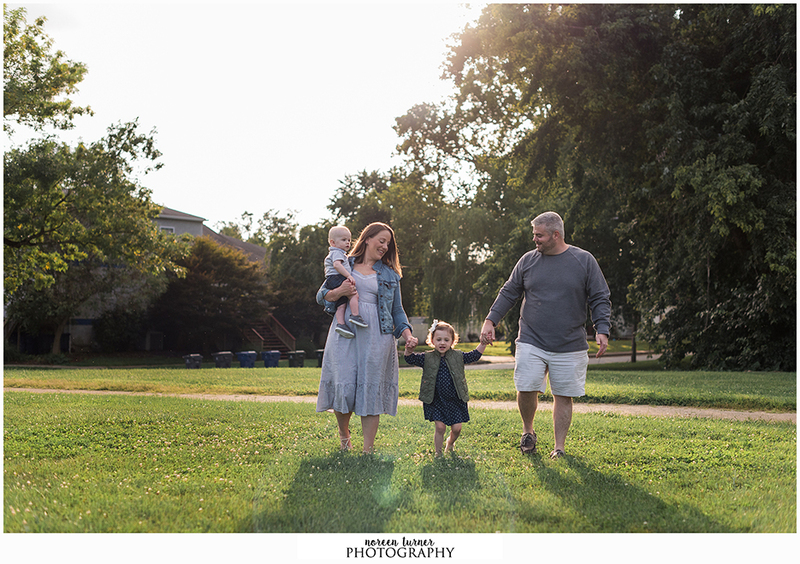 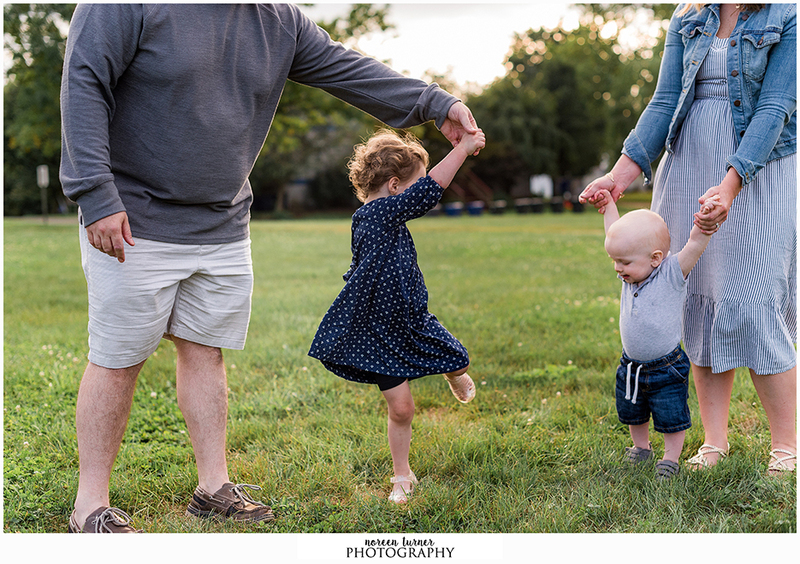 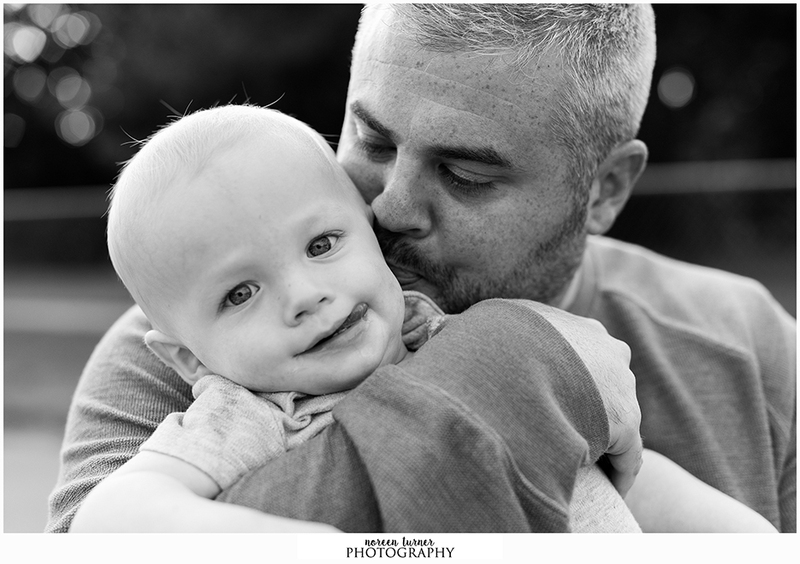 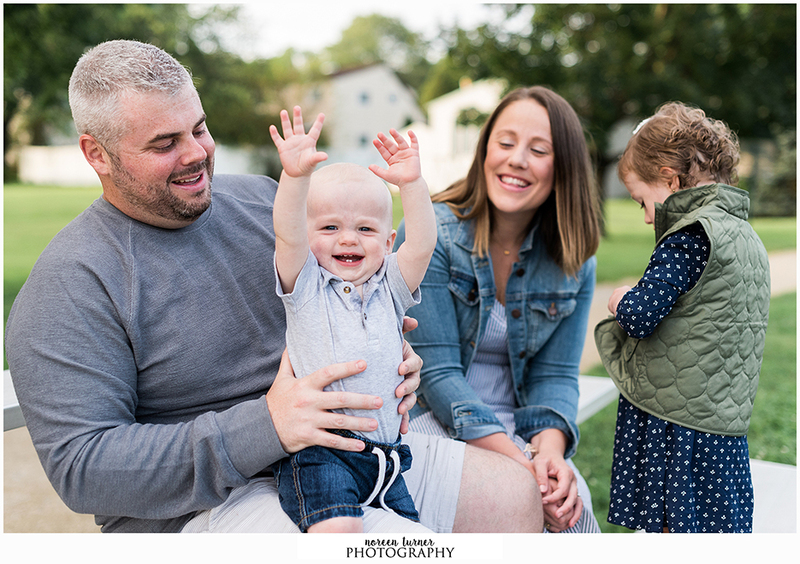 While there may be plenty of Abington family photography sessions, I’m sure there aren’t too many quite like this, and the same goes for this kind and caring family of four! 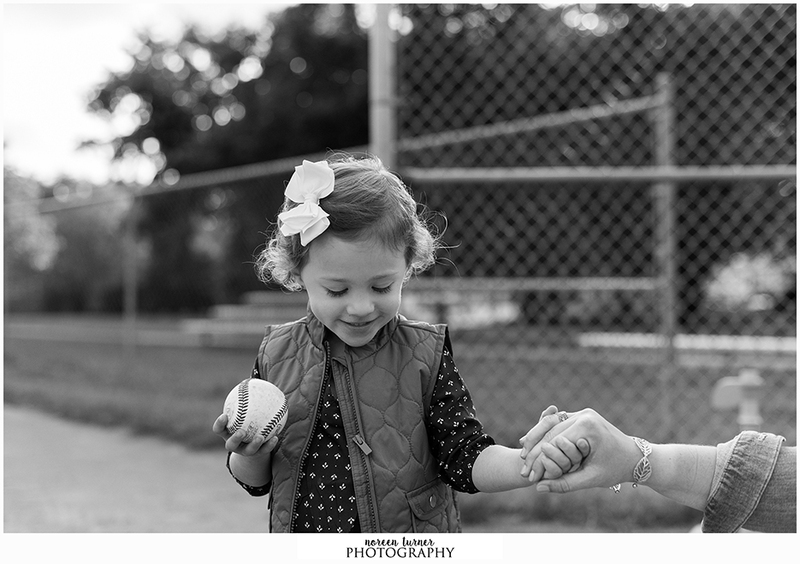 To book a family session with Noreen Turner Photography please inquire using this form on my site.